THANK YOU to all of our fabulous nurdle hunters, both individuals and organisations who headed out to beaches across the globe last week! We have been overwhelmed by the fantastic response, with more than 300 hunts reported from 30 countries - we'll be in touch very soon with results, and in the meantime you can check out our updated nurdle map HERE. Type the location name here or drag the icon to your desired location Note: This location should be the beach you intend to survey. This will be shown on a publicly available online map. We are looking for organisations and collaborators to help organise Nurdle Hunts in their area as part of the Great Global Nurdle Hunt. Please register your interest using the form above and let us know if you wish to take part! 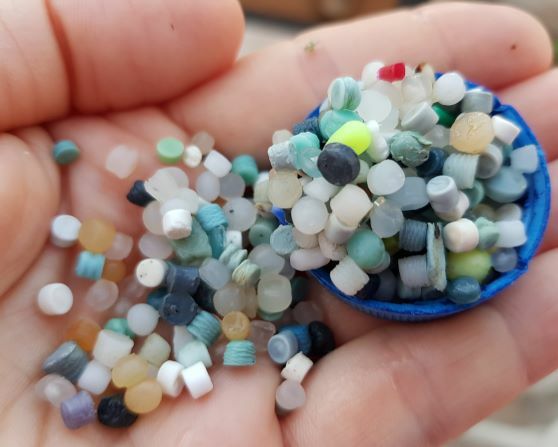 Nurdles, or plastic pellets, are small bits of plastic about the size of a lentil (around 2-3mm wide). These pellets are the building blocks of the plastics industry and are used to make all the plastic products you use and find today; from water bottles to car parts. These nurdles are transported across the world and used in almost every country. Because of their size and sometimes poor handling management they are easily and often spilled throughout thw supply chain. This can happen at any point during production, transport or processing and these spilt nurdles can find their way into the marine environment. This means thousands of tonnes are lost to the seas each year from accidental spills - over 160,000 tonnes in Europe alone – that’s billions and billions of pellets. Once at sea, these microplastics can cause harm to marine life where they are often mistaken for food and eaten. Image credit: Eric Thuranira, A Rocha Kenya, Watamu Bay, Kenya. Why are we running a ‘Global Nurdle Hunt’? 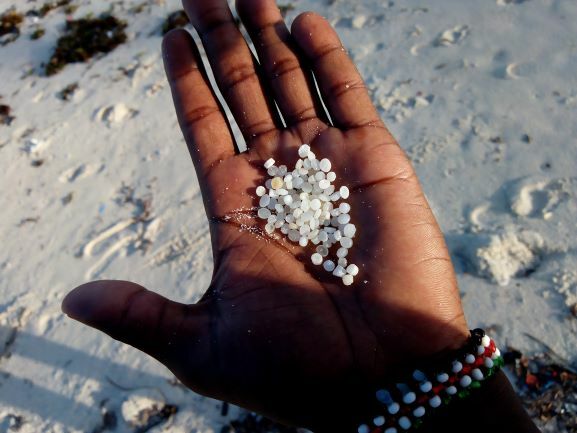 Our Nurdle Map has shown that people across the world are finding these plastic pellets wash up on their shores. We want to harness this worldwide engagement, showcase the fantastic work people are doing and illustrate to the global plastics industry that the issue of plastic pellet pollution is widespread. The data our Nurdle Hunters have collected so far has proven vital in helping us raise awareness around this serious issue. At the end of February 2019, the Scottish Government are holding Scotland's International Marine Conference 2019 and we will be there talking to members of the public, NGO’s, academics, industry representatives and Government leaders. We want to show them the widespread nature of the nurdle issue so that they take it seriously and prevent these pellets ending up in our oceans once and for all. We need your help to take to the beaches and organise a nurdle hunt in your area. We would like this event to cover as many countries and meters of coastline as possible, to really show how big this problem is.